Hohn, M.H. and Hellerman, J. (1963) The taxonomy and structure of diatom populations from three Eastern North American rivers using three sampling methods. Transactions of the American Microscopical Society 82(3):250-329. Kelly, M.G., Trobajo, R., Rovira, L. and Mann, D.G. 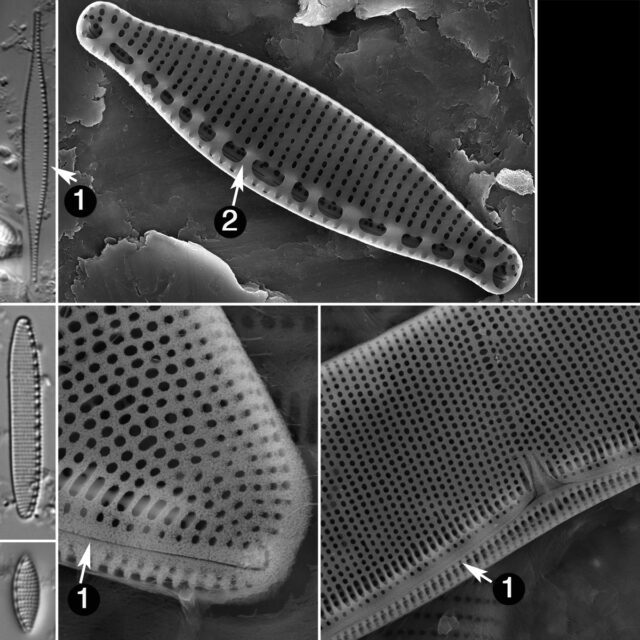 (2014) Characterizing the niches of two very similar Nitzschia species and implications for ecological assessment Diatom Research 30: 27-33. Trobajo, R., Mann, D.G., and Cox, E.J. (2012) Studies on the type material of Nitzschia abbreviata (Bacillariophyta). Nova Hedwigia, Beiheft 141: 185–200. Trobajo, R., Rovira, L., Ector, L., Wetzel, C.E., Kelly, M. and Mann, D.G. (2013) Morphology and identity of some ecologically important small Nitzschia species. Diatom Research 28: 37–59.